Today we have a guest blogger at The Employer Handbook. It’s Andrew Gwynn. Andrew is the Principal, Compliant Background Chex. If you dig Andrew’s post, go connect with Andrew on LinkedIn. 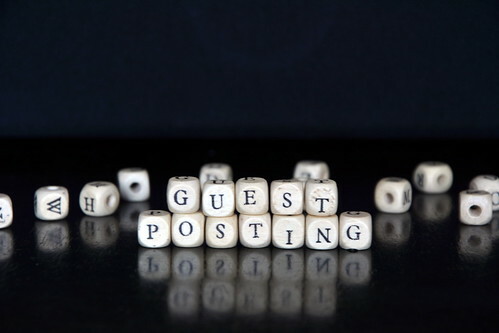 (And if you want to guest blog on an employment-law topic at The Employer Handbook? Email me). The fastest-growing type of employment class-action lawsuit in the United States is the background check (FCRA) lawsuit. The FTC, the EEOC, and plaintiff attorneys are piling on to ensure the rights of the consumer aren’t violated by the seemingly benign fact-checking that employers do in our ‘right-to-work’ principled system. So let’s just throw in the towel and quit doing background checks, because they’re so risky, right? Wrong. Two companies we work with have been involved in wrongful death lawsuits in the last couple of years over workplace homicides. In both cases, the OSHA general duty clause was used to establish that the employer was negligent in providing a workplace ‘free from known and recognized hazards’. How should they have known about this recognized hazard? A thorough background check. The fear of workplace violence alone compels us to keep checking. Get your forms right. The disclosure and authorization form has to be a clear and conspicuous, stand-alone and separate agreement, so don’t copy the text into your employment application, or add any other agreements to it. The disclosures are STATE SPECIFIC, so make sure you aren’t using a generic form for all 50 states. If you used the wrong form once, you used it for everybody, and that’s the definition of a ‘class’ of plaintiffs. Do the FCRA required adverse action procedure. All of it. Pre-adverse action letter, copy of FCRA rights, copy of the report. Wait a reasonable period of time for the consumer to respond. Send the final adverse action letter when your decision is final. Your decision isn’t final until the final letter. Don’t say anything contrary to that to the applicant until they’ve had a chance to respond. A lot of lawsuits lately are because an employer made a decision before the process played out. Make sure the information you are considering is ‘substantially related’ to the job the person is applying for. That’s the EEOC’s guidance, and it makes sense. A DUI may not be substantially related to sweeping your warehouse, but stealing is substantially related to any job. Make a checklist using the EEOC’s own guidance, and document your thought process. Don’t be a jerk. So many of these lawsuits start when somebody at a company treats a job seeker badly. Treat your applicants with dignity, even if their background check says they’re an outlaw. Background checks can be wrong, which is why the adverse action procedure was created. If someone calls to dispute the results or provide additional information, treat them like you’d want to be treated. They have lots of options for getting even, and they’re all expensive and time-consuming for you. Image Credit: Free Blog Photos on Flickr.